The description that I said at the beginning is only the start of this volume and the story progresses a lot and it isn't the same show in every story arc. The story in this show is decent but it is also dumbed down a little bit to where it is a more standard action show. I did like how unpredictable this volume was as it will leave you guessing but not all twist and turns are good as there were some rubbish ones too. There are also some filler episodes in this set and I was happy with some of them as they added fun that made for a nice breather from the action. The other filler I wasn't impressed with as those episodes were useless and very dull. This is a very action packed show with a lot of battle scenes and they were pretty exciting and I was really surprised with what happened during some of them. There were some dull fights that did get a bit boring but they mainly happened in the filler episodes that I'd mentioned before hand. I especially loved that all the battles have taken place on a variety of battlefields and it added some more excitement and freshness to the action. Both human characters and Transformers have grown in this volume and I did like that a lot as they've come a long way since the first volume and that's how it should be in a show like this. One minor problem I have with this set is that there is one episode that's rendered badly to where it looks like I'm watching a badly converted AVI file but that seems to be more of a problem with the master itself. The artwork uses a mixture of traditional 2D animation mixed in with 3D computer generated models. I really liked the 2D artwork in this volume as it worked well with the Transformers as they looked very awesome. The human characters look alright but nothing as spectacular as the Transformers. There were some moments where the 2D artwork looked quite ugly and rushed but there aren't many scenes where that problem occurs. The 3D artwork has aged with some models looking like something straight from a Sega Saturn game. There were also some decent 3D models that used cel-shading and while they also look aged (as you'd expect with 3D animation) it was a smart move using cel-shading and not to mention that it blended with the 2D designs quite well to where you won't be able to tell that some of them are 3D models. 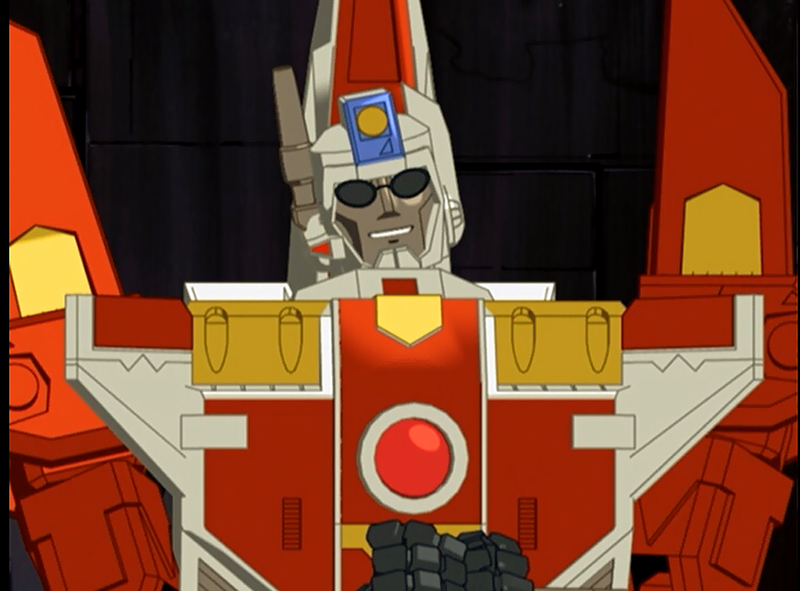 There was one moment where I found a character design to be creepy and that was during one episode where that gave a Transformer sunglasses for comedic effect but in the end it was just plain scary (just check out the picture below). The backgrounds in this show use a nicely mixed portion of organic backgrounds that look like that they are full of life, mechanical backgrounds that gives this show a very cold, mechanical, futuristic feeling, and space scenery that looks quite awesome. The backgrounds vary in detailing as sometimes it can look quite detailed and other times it looks basic but still good. The animation has improved in this volume as it is a lot more smoother and the characters actually look like they move instead of it looking like a digital comic book. It's not perfect though as there are some moments where the 3D animation looks floaty and during one battle the 3D animation becomes quite choppy like it was rushed to get it out on time. 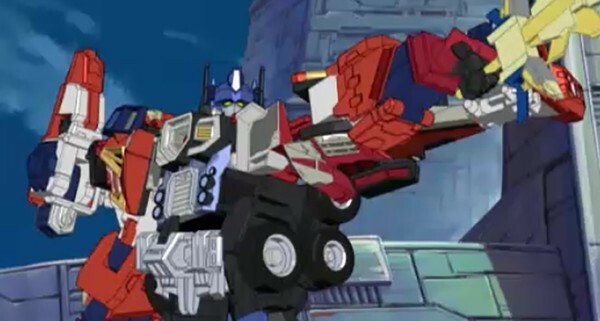 The voice acting in this show is decent and the voices did work well with the transformers. The voice acting for some the humans could've been a little better though as they sounded a little rushed. 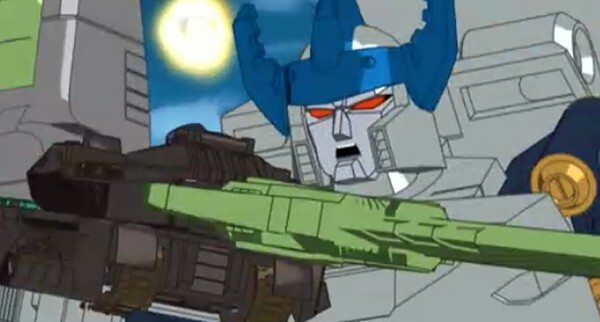 There were also some Transformers that sounded a little goofy and while it won't bother you most of the time there are some scenes where that kind of character was a bit inappropriate. The soundtrack on this show was decent with a mixture of rock and electronic that worked well with the scenes and added some tension during the battles. There is only one special feature found in this set and it is a profile gallery with information about the Decepticon army. I know that might sound a bit boring but believe me it is great. Why you ask? Well it's not the profiles themselves that what makes this feature so special as they are nothing but just the backs of trading cards. What does make this special are the photos of all the Decepticon action figures from the Transformers Energon toy line. All the photos are really awesome and were all shot very well and it will make you want to track down some of them to play with or to collect dust on a shelf for all those souless toy collectors (you know who you are... We're Dobis P.R.). Overall this was a very decent show and like the prior three volumes of the "Unicron Trilogy" I am very excited to be watching the next volume as I have no idea where they are going to go from here (in an curious exciting way that is). Transformers fans will really get a "Kicker" (pun intended) out of this. 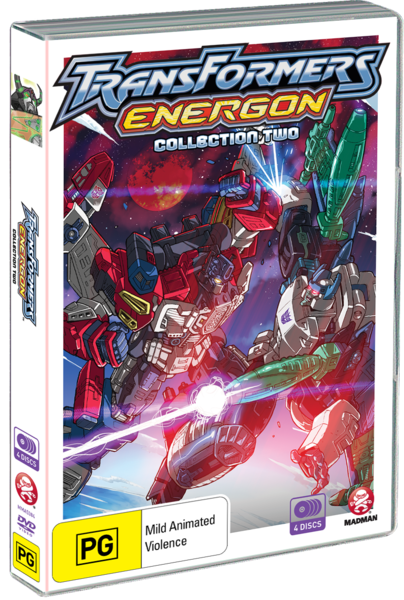 I also recommend this for the non-Transformers fans as you'll also get a kick out of this and yes I do know that as I have shown this series to people that weren't fans of Transformers and they did enjoy this series. Very solid viewing.